The Delta Queen was put up for auction in 1946 after having served 13 years on the Sacramento River and another six years for the U.S. Navy in San Francisco bay. Captain Tom Greene from Cincinnati, Ohio was a steamboat captain and owner of the Greene Line of Steamers. He placed the only bid for the Delta Queen and became her new owner for $46,250. The boat then had to be relocated from California to the Ohio River where its renovations and repairs would cost more than $750,000. 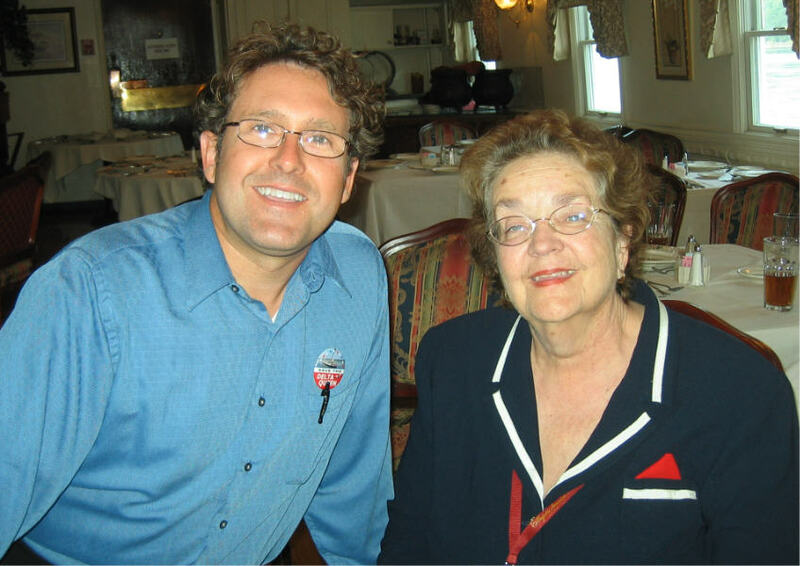 The Delta Queen began a new career in June 1948 and she owes her last 60 years to Tom Greene’s vision and commitment. We have been fortunate the last couple of days to have Jane Greene on board the Delta Queen. Jane is a daughter of Captain Tom Greene, one of his four children. She came aboard to share some of her memories of the Delta Queen’s Greene Line days. Her stories are amazing. For almost 20 years of her youth, Jane spent her summers aboard the Delta Queen. Her grandmother, the famous Captain Mary Greene passed away on board the Delta Queen. Her father also had his fatal heart attack onboard the Delta Queen at age of 46. Jane was onboard that trip. Her extraordinary mother, Letha, went on to run the family business for the next 19 years. Jane’s memories of life onboard the Delta Queen sometimes are poignantly personal and painful. They often are insightful and hilarious. They always are entertaining. I asked Jane to share a few thoughts to pass along to you, Faithful Reader. Enjoy.